I'm guilty. I'm not going to lie about it. I have been one of those shoppers who abandon their carts during the checkout process. I’ve done it multiple times and it’s possible that I will never stop. But guess what? I’m not alone. Nearly 70% of consumers abandon their carts during the checkout process. That’s a steep number! If you were to calculate the amount of the consumers who visit your site and subsequently abandon their carts, I’m sure that you would find that you’re almost hemorrhaging money. But fear not, there are ways to avoid this plague. Read on for some ideas to consider. You want to know the biggest reason why I’ve abandoned my shopping carts? Shipping costs. Mentally, I’ve prepared myself to pay a certain amount and then the ball drops when I get to the checkout section and see that my shipping costs are quite more than what I was anticipating spending. 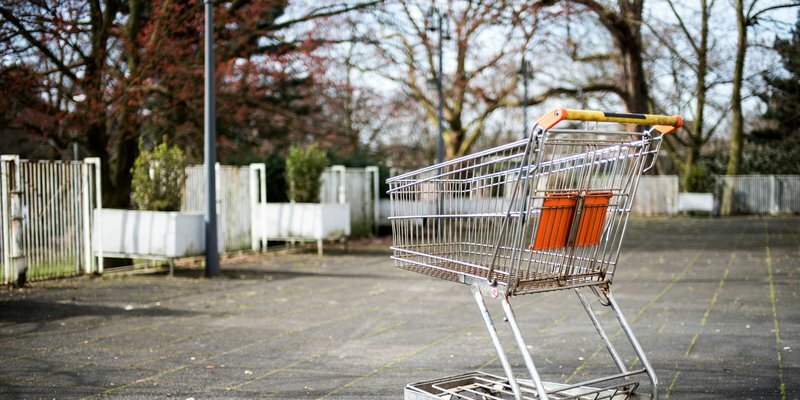 Studies have shown that shipping costs are among the top reasons for cart abandonment. I understand that this may not be totally feasible for some companies, but it doesn’t hurt to consider this option. Sometimes, it’s not so much the shipping costs themselves, but rather the consumer wasn’t anticipating having to spend that much in the first place. So, if nothing else, consider making sure the customer is aware that they may potentially have to pay shipping by putting estimated shipping costs in the cart the moment an item is added. Additionally, you could put the minimum shipping requirements across multiple pages so that customers are somewhat aware that they may incur a shipping fee. One thing true about many sites is that they want subscribers. The more subscribers they have, the more likely they will have a retinue of returning customers. One of the best ways to get subscribers for that lovely mailing list is to have customers create an account prior to or at the time of checkout. Now, some consumers don't mind this extra step, but many of them do. The issue is that some people neither want to be solicited to nor do they want to have to take the extra steps when checking out. I've said it before and I'll say it again: people want their products and they want them yesterday. Having them create an account at the time of checkout increases the likelihood that they will abandon the cart altogether. An easy way to eliminate this likelihood is to either enable a guest checkout option or forego the necessity of creating an account altogether. Besides, once they place the order you'll have their email address on file anyway. This could very well be a cat in the bag for you. As I said, shipping costs are part of the problem for many consumers. In the event that you can't eliminate the costs altogether, perhaps you can offer a discount on the products that they are purchasing. The consumer won't know you plan to do this until they attempt to leave the page or shopping cart. If they try to leave, the consumer will be presented with a pop-up that will encourage them to remain on the site and purchase the goods they were viewing. This could work for many consumers. If they're given an incentive to stay, chances are they will do so and not only will they stay but, because they've got that coupon, they may very well end up spending more money. Shopping online is extremely difficult. The thing that that e-commerce stores have to contend with when it comes to brick and mortar stores is the physicality of the products being sold. A consumer could walk into any clothing store, browse something they like, try it on, and there's no commitment if they don't like it. But if they do like it, they're more likely to buy it because they've seen it on themselves. And if they get home and realize they don't like it, they can return it with no muss and no fuss most of the time. The issue with buying online is you can't try before you buy. If it's a gift, you're even more stressed about the potential need to return an item. If you buy a product online, don't like it and can't return it or, even more annoying, have to pay for return shipping, then the customer is more apprehensive to make a purchase if they know that they might be unable to return the item. No one wants to spend their hard earned money on something that they end up not liking and also end up stuck with. It's a lose-lose for them. I suggest amending your policy, if you have not already done so, to allow returns. It doesn't have to be an open-ended policy but even giving someone a few weeks to decide might assuage their fears of purchasing an item. In a similar tactic to the popups, you can also employ the use of exit emails. It's highly likely that, by the time the customer decides to abandon the shopping cart, they've already entered their email address. If you have software that captures emails, then you can use that to send emails regarding their potential purchases. Coupling this tactic with the popups will likely ensure the customer's return to their cart. If they're getting notifications before they leave and afterwards, they will likely return. It's not an exact science and it may not be 100% effective, but I promise that using even one of these practices will change your cart abandonment rate incrementally for the better. Over time, employing these practices will garner mass improvement in your favor.